Seth is a partner based in KPMG’s San Francisco office and serves as the lead partner responsible for market development of its Bay Area Alternative Investments practice. Seth works with both domestic and international clients within the hedge, venture, and private equity sectors, including fund of funds. He has extensive experience with various investment products, strategies and structures where he provides clients with key considerations and best practices in the industry. 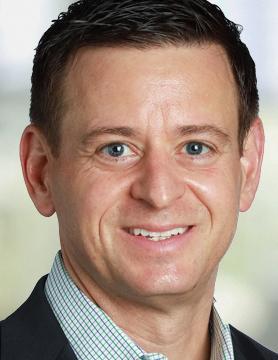 Seth is an audit partner and member of the firm’s national hedge fund committee contributing to the development of KPMG’s hedge fund platform and audit methodology. Seth brings over 20 years of public and private experience to his current role having previously worked as the CFO/COO for a family office that managed several affiliated limited partnerships employing a long/short equity trading strategy and a hedge fund that primarily traded soft commodities, both located in New York City. His responsibilities at these firms included overseeing the accounting, finance, risk, operations and HR functions as well as managing relationships with legal, prime brokerage, compliance, audit and tax. Prior to his experience in private, Seth was a senior associate with a Big 4 accounting firm based in New York. Member of the organizing committee of the Bay Area Hedge Fund Roundtable, a group which facilitates communication, education and networking among the Bay Area alternative investment community. Frequent speaker and contributor to various industry panels, conferences and events. Active with the Leukemia and Lymphoma Society’s Light the Night Walk. Outside interests include soccer, golf and cycling.